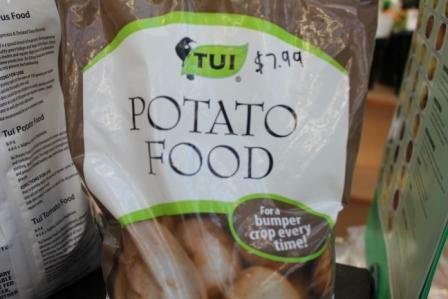 Enjoy eating freshly dug potatoes by growing your own – its very easy. For Christmas potatoes choose “Lisetta” or “Swift” as these are good early variaties 60-70 days to mature. 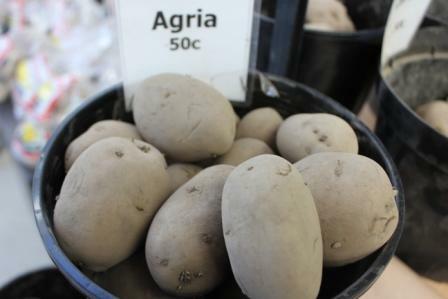 For main crop try Agria variety – great for roasting and chipping. Plant into free draining soil in vegetable garden, raised beds or a bucket. When planting add Potato Food for extra heavy cropping. Come in store to view our great range of potatoes and get advice on everything you need to know about potatoes.